FC Halifax Town kick-off their 2018-19 season with a trip to newly-promoted Braintree Town on Saturday (3pm). Manager Jamie Fullarton reported no injury concerns ahead of the game, the first of three in the opening week of the campaign ahead of home matches with Barrow and Maidstone. Halifax go into the clash on the back of a mixed pre-season, with decent performances against Football League opponents Bolton and Port Vale, but disappointing displays in defeats to lower league opposition Stockport and Boston. Braintree finished sixth in the National League South last season before recording three consecutive away wins in the play-offs, including a penalty shoot-out victory at Hampton and Richmond in the play-off final. They will be keen to start with a win as they face away trips to recently-relegated Barnet and Chesterfield after Saturday’s game. Their pre-season included a 4-0 win over Newmarket Town, a 3-0 defeat against Cambridge United, a 2-0 win against Championship side Ipswich Town, a 4-2 win against AFC Sudbury, a 1-0 defeat at Dereham Town, a 1-0 win at Coggeshall Town and a 0-0 draw with Chelmsford City. 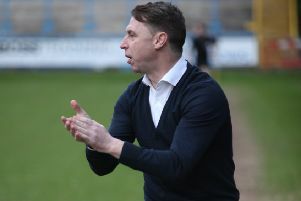 Manager Brad Quinton has admitted that squad-building hasn’t been straightforward over the summer for the part-timers, who are one of the bookies’ favourites for relegation. Braintree lost centre-back and captain Marc-Anthony Okoye to Bromley over the summer, but have signed Leyton Orient defender Michael Clark, Dartford winger Lyle Della-Verde, who has played for Fleetwood and Crawley, and utility man Olu Durojaiye from Welling. First-choice keeper Nathan McDonald is suspended for Braintree’s first two games of the season, so another new signing, Ben Killip, who made 10 appearances for Grimsby Town last season, looks set to deputise in goal.